In anticipation of the upcoming release of Beauty and the Beast, IMAX is pleased to announce that the entire film will be specially formatted and presented in an expanded 1.9:1 aspect ratio. This means that only in IMAX the movie will fill more of the screen, and fans will see 26% more of the image in IMAX than standard theatres, for a truly enchanted moviegoing experience. 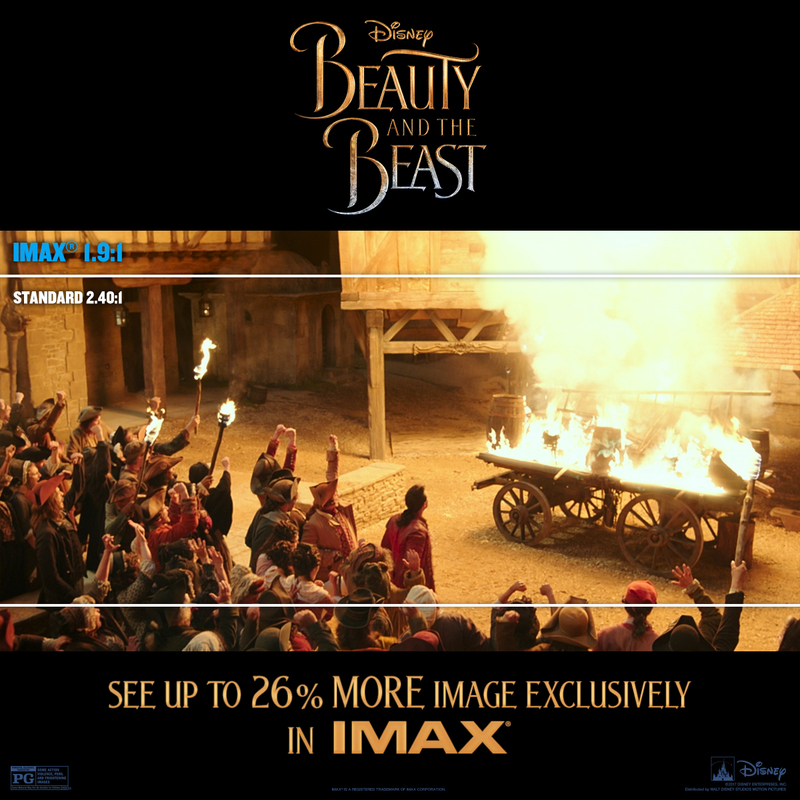 To illustrate the expanded aspect ratio, IMAX created a GIF and a special image that depict what movie-goers will see in standard theatres versus what they will see in IMAX. 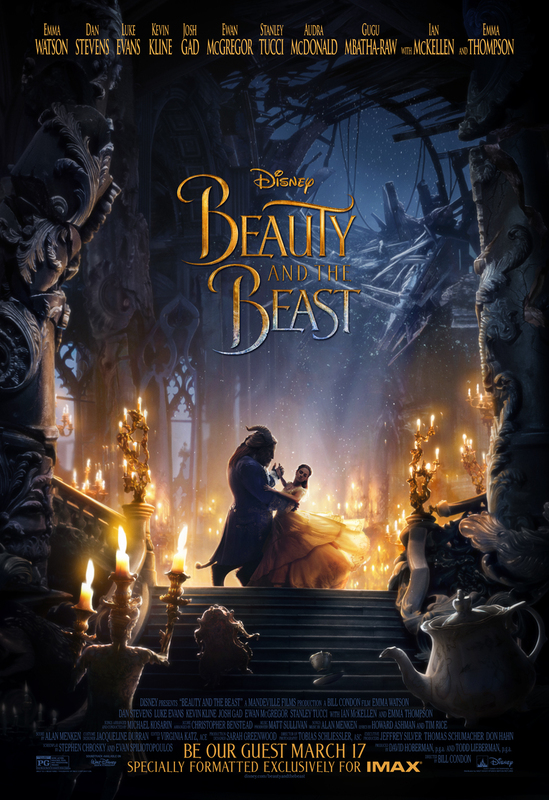 In addition, IMAX also released its exclusive art for the film that celebrates Belle and the Beast’s iconic ballroom scene while the enchanted Chip, Mrs. Potts, Lumiere, Cogsworth and more look on.